I want to buy my girl flowers. I want to drive to a dark place where the lights are far with her. I want to look up at the sky at night. I want to hold her hand and gaze at the huge universe. I want to feel little and in awe at how big it all is. 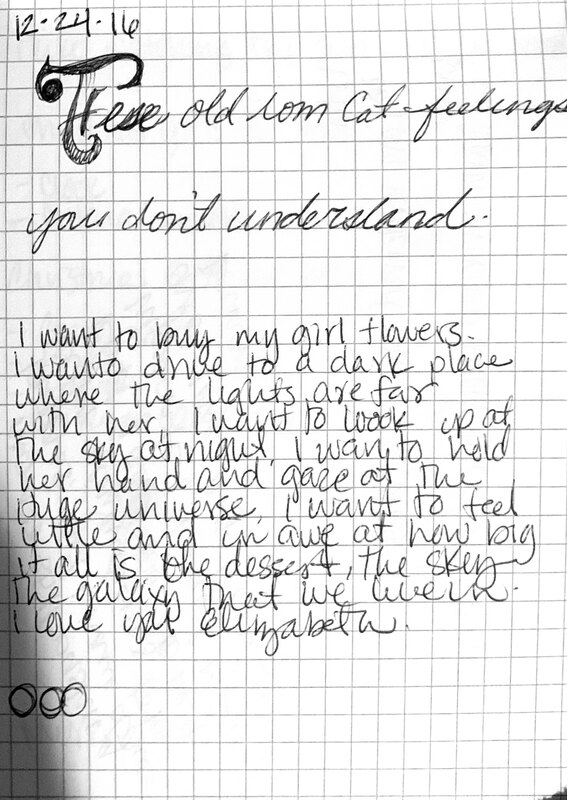 The desert, the sky, the galaxy that we live in. I love you. My wife and I loved listening to this song before we were married. It reminds me so much of the days when we were getting to know each other. I play this song on repeat when I miss her.